Welcome to our success story page. Here we feature stories of local runners that have pushed through and achieved a goal, PR, or any fitness endeavor. So feel free to email us about any success stories you many have. Featured runners and walkers get a free race! "In 2014, I was told basically I shouldn't be running, and physically, I could truly barely run. I limped like a mad woman after every run, my hip would grind with every step I took, and I was in severe pain. The reason I was told not to run was because after several years of hip issues, I had been diagnosed in September 2013 with congenital hip dysplasia, a torn labrum, and hip impingement. Hip dysplasia is where the hip socket is malformed causing increased force on the joint resulting in increased wear and accelerated deterioration of the hip. The diagnosis of hip dysplasia meant I would potentially never run again and if I wanted a chance at all of living any kind of active lifestyle I would need a surgery called the periacetabular osteotomy (AKA PAO or hip preservation surgery). This surgery involves breaking your pelvis in three places, rotating/re-orienting the hip socket to make it the correct shape, and screwing it back together with 3-7 screws (in my case there are 7 in there forever). I also needed to have my a femoral osteoplasty (shaving down) of the head and neck of my femur, as well as a labral repair (stictches/anchors, making the ligament stable). Now, rewind back to 2014. I agreed to run my last race on that bum hip with my rommate who had purchased me an entry into The Magnuson Spring into Action 5k. It wasn't a pretty run, I don't remember my time, I actually don't think it was bad, but I could barely walk when it was over. I remember appreciating that race beyond anything though, because I knew it might be the last race I ever ran. On 09/11/2014 I went in and had the PAO, FAI, and labral repair surgery. Expected recovery is usually anywhere from 1-5 years. I pretty much had an unprecedented outcome. I was able to surpass all expectations and start running (with my physical therapist of course) at just 16 weeks post op. As my running continued to progress and no complications presented themselves, I asked my physical therapist if I could run a 5k. I told him since Magnuson Spring into action 2014 was my last race, I wanted to see if I could make that race my first post op race. On March 21, 2015, with my mom, sister in-law, close friends (mom, sis inlaw, and one friend even drove over from Spokane! ), and physical therapist all there to support me, I ran my first op 5k with the Magnuson Spring into Action race series. My pt had instructed me not to run fast, but life doesn't always work out the way you intended. I RAN your race (despite the odds stacked against me), got first place in my age and gender group, and had a personal best for a 5k. I nearly cried after Magnuson Spring into Action 2014 fearing I would never run again, not knowing my fate, only to return to Magnuson's Spring into Action 2015 even stronger than before. Since then, I have run 3 half marathons and am now training for my first full marathon! My hip actually failed while attempting to train for a full marathon, so I cannot wait to achieve that goal. 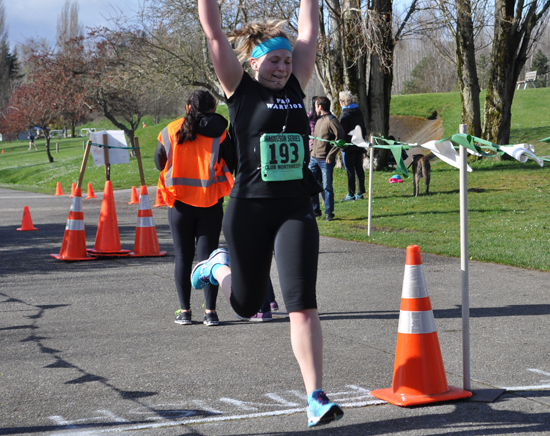 However, Magnuson Spring into Action 2015 will always be among the best and most meaningful races of my life!" 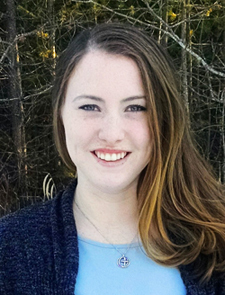 "Running has always been difficult for me, because of an autoimmune disease that I have. I spent a couple of years (2013 and 2014) trying to train for a half marathon, and I would get part way there and not feel able to continue. I stopped running all together for a while because I was so discouraged. When I moved to Seattle, my sister told me about the Magnuson Series, and it looked like such a positive and empowering place to run, that I decided to try again. In the spring of 2015, I made a training schedule that involved running each of the Magnuson Series distances. I ran the 5k race in May, the 10k in June, 15k in July, and finished my first half marathon in August (2:30:31). It was a combination of determination and the incredible and welcoming atmosphere of the Magnuson races that made this possible. When I showed up for my first race, I immediately felt like I fit in. Without that, I don't know if I would have kept trying. Thanks to everybody who makes this series possible. I'm looking forward to running another half marathon with you all this year! " "I just wanted to thank you for a great 5k this Memorial Day weekend. 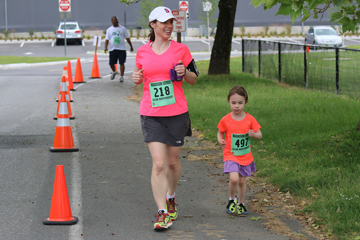 My daughter, Elizabeth Woods (#497), ran it with me. It was her first 5k. She is five years old, and we ran the whole way. I see that so far, she's been the youngest finisher this year. My first 5k was your March 22 event. Thank you for existing and organizing such great, family friendly events. I'll be back for a 10k this summer! " "Year's Day I participated in the polar bear plunge. I made a resolution that day to run/ride in an organized race once a month all year. Most all of them were the mag series runs but I did Tour de Cure and a few others. It really inspired me to run. I started to run about 3-4 times a week for 3+ miles. I have always been into sports and active but never really a runner. Running and soccer are now my main forms of exercise and fun. I completed my 12th run on Dec 21st- which is the first time I have completed a resolution throughout the whole year. I think because it was proactive and an actual tangible accomplishment is why I was inspired to continue with it. Thanks for letting me participate in your monthly runs!! I kept all the number bibs and you can see a picture of all them on my Facebook posting on Dec 21st. I am proud of my resolution and lost 3 dress sizes from running and soccer." "Middle school defined my relationship with the whole idea of running. Every few weeks, we had to do a 12-minute run. I was not a skilled runner. I was not a skilled athlete at all, really. Maybe I could have been with practice, but I was far too self-conscious about looking inept to try. And so I approached each 12-minute run with trepidation and dread -- because I couldn't do it. In the end, I would have a goal of running the first half of every lap, and walking the second half. And always, I could not quite make 4 laps. And always, I wished that I could. It's funny how those things creep into your identity and make you believe things about what you are capable of doing. Ever since then, I've believed that running was for other people. Sure, I've covered that up with joking about how I'd only run if a bear was chasing me or bafflement over why someone would want to DO that to themselves. But secretly? Secretly, I looked on with envy at an activity that I believed I couldn't do. I was too old, too overweight, too out-of-shape, too uncoordinated. I wanted to be like those people who ran... but always believed I couldn't be. And yet here I am. I am 37 years old and have been slowly teaching myself to run since May. On December 21st, I got up early and I put on my running clothes. 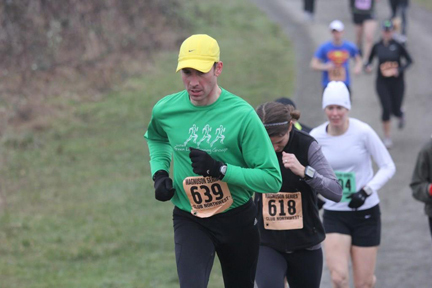 I drove to Magnuson Park in Seattle and picked up my very first number for my very first race – a 10K – a mile further than I’d ever run before. And I ran. And I ran. And then I ran some more. It was hard. That last mile, a steady stream of “You can do this You can do this You can do this” was crucially necessary to keep me going. But I did it. I crossed the finish line, and I RAN THE WHOLE THING. It’s tempting to qualify what I did. It’s tempting to make it less than it was by saying that I wasn’t the fastest runner out there, that there were others who were so much better than I was. And that would be true. But it also doesn’t matter. Because I did it. And even if I wasn’t the fastest runner on the course, I was A runner on the course. I am a runner now. And it’s a like a message to all those things I always thought I couldn’t be. If I can be this, then I can be anything."